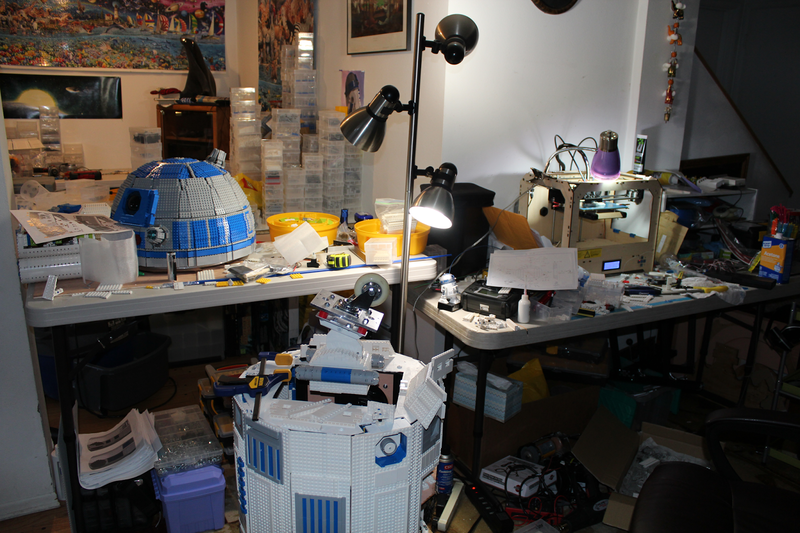 L3-G0 the Lego R2-D2: Umm, when is ECCC? Emerald City Comicon's tonight. L3-G0's gonna be working, flashing lights, sound and everything, right?!!?!?!? He's decapitated, and the body's upside down! And doesn't that 3D printer look like its on and running to you? Hope it's nothing critical. And his legs are off and the insides of his feet are showing.